Blepharoplasty, a specialized surgical treatment meant for Eye Bag Removal & Eyelid Surgery is recommended for corrective and reconstructive purposes from a cosmetic perspective. An overview about this cosmetic therapy would also suggest the significance of maintaining healthy and impressive eyelids from the point of view of sustaining facial beauty. Eyelids are known to be the focus of attraction and have a major role to play in providing the impressive looks. Unfortunately, with time the eyelids become vulnerable and as a result of which they give rise to abnormal form of eyelids region with wrinkles, folds and eye bags evidently showing up over the upper and lower eyelids. Excessive presence of skin is often quoted as the reason for the formation of eye bags and wrinkles which are responsible for an abnormal and negative impression of your face. If you identify these abnormalities over your eyelids, it is better to get them reversed with Blepharoplasty at the earliest. Our Leeds Clinic for Cosmetic Care has the comprehensive facilities and cosmetic surgery experts who can help reviving your eyelids with a redefined impression. Though the wrinkle smoothers and skin wrinkle treatments are known to be very effective for treating the wrinkles, using them alone may not be the solution when it comes to treating the eye bags which are better treated with the surgical process of Blepharoplasty. Diminishing eyelids with wrinkles and folds would mean diminishing facial impression with negative impact of your health and personality. Situations like this would only get worse from time to time and therefore it is always good to act at the earliest before the wrinkles and eye bags become more prominent. The Blepharoplasty treatment offered for eye bags is also about hope to revive your lost beauty and positive energy about you being emotionally sound and healthy from cosmetic perspective. The positive results of this treatment would remain effective for long time and can contribute to your passion to remain focused about enhancing your overall beauty. Corrective measures and reconstructive procedures are becoming more desirable and it would be a credible effort to get started with your cosmetic revival process for which Blepharoplatsy can help you with the necessary motivation. In the process of restoring your youthful personality, facial rejuvenation and enhancements are the kind of treatments you would like to begin with. Our Leeds Clinic for Cosmetic Therapies has better focus and understanding about various beauty and personality enhancement treatments among which Blepharoplasty has been the premium choice for many patients. At our Leeds Clinic, we focus on comprehensive care and quality treatment by also helping patients to make their own choice about undergoing the treatment for eye bag removal and eyelid correction. You will experience a thorough process based treatment which includes consultation, treatment planning and post therapy maintenance. During the consultation phase our experts would check the conditions of your eyes to determine if everything is fine with the eyesight. Once your candidature is confirmed and the relevant details are explained, you need to give your consent for the therapy which is a surgical procedure. The core treatment is about removing the excess skin from your eyelid regions and reconstructing the operated area to provide a fresh impression of skin. During the operative phase, small incisions will be made at the target regions through which the undesirable skin is gently removed. The cosmetic reconstruction process is very crucial because the overall outcome depends on its success and the experts at our Leeds Clinic are capable of delivering best results by overcoming all the possible limitations. Anesthesia and other sedatives are used for this procedure at permissible levels which is important for the fulfillment of the therapy which is a core cosmetic surgical procedure. A quick comparison of your eyelids, facial appeal and impression after the procedure is successful with the condition before Blepharoplatsy can only confirm the advantages and benefits of this procedure. 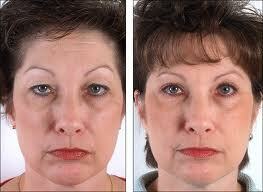 A redefined shape and structure of eyelids complimented with smoother skin after the therapy is very convincing. The procedure lasts for around ninety minutes and you can plan the consultation and treatment on the same day depending on your convenience. You would need to confine yourself for a week’s time after the therapy to being to experience the positive outcome of the same. 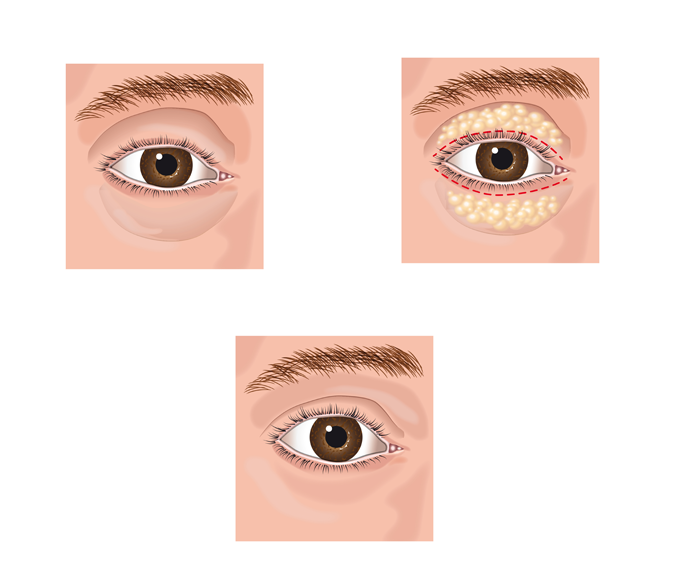 Immediately after the procedure, you may also feel swelling and watering effect in your eyes which is related to the therapy and will subside within couple of days. Blepharoplasty is a surgical procedure and the therapy related complications are mostly due to the nature of the therapy, post therapy conditions like swelling are the commonly noted reactions. They are not serious complications and can be easily managed with care and caution. The reconstructive purpose of this therapy also makes it significant and the outcome is better experienced with timely treatment. The sagging effect of the skin surrounding the eyelids will be treated effectively with cosmetic surgery after which the skin will attain renewed properties. Though the skin after the therapy is still vulnerable to the factors of influence after five years, the negative effect would not be similar that of the sagging and withering skin before Blepharoplasty. At our Leeds Clinic, we give importance to the post therapy care as much as we consider the therapy to be important. You should understand the importance of careful maintenance to sustain the positive results of cosmetic surgery for a very long time. Nu Cosmetic Clinic is a premium entity in cosmetology and we have our reputed centers for cosmetic care all across the UK in major cities. You don’t have to be worried about issues like relocation and future prospects of follow up in case if you move out of Leeds.